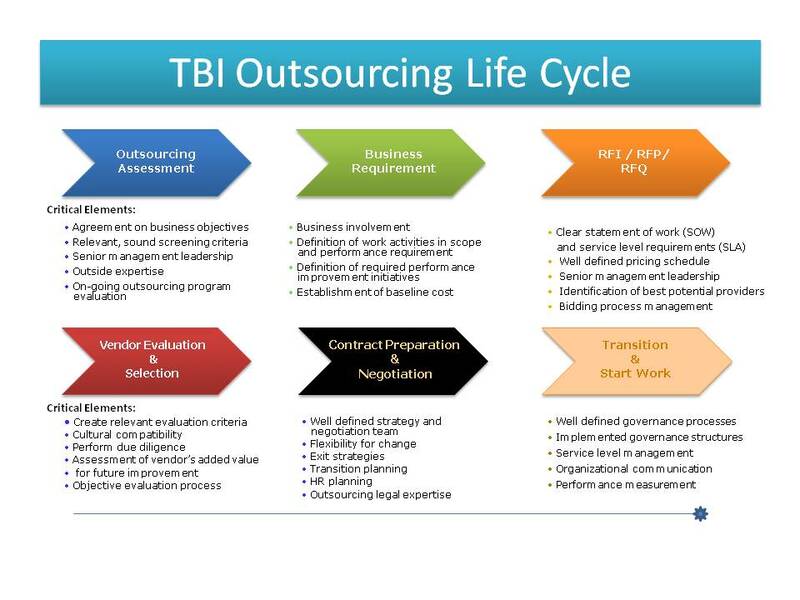 For more than 40 years, TBI’s core business has been providing guidance to companies considering, implementing or managing outsourcing relationships. 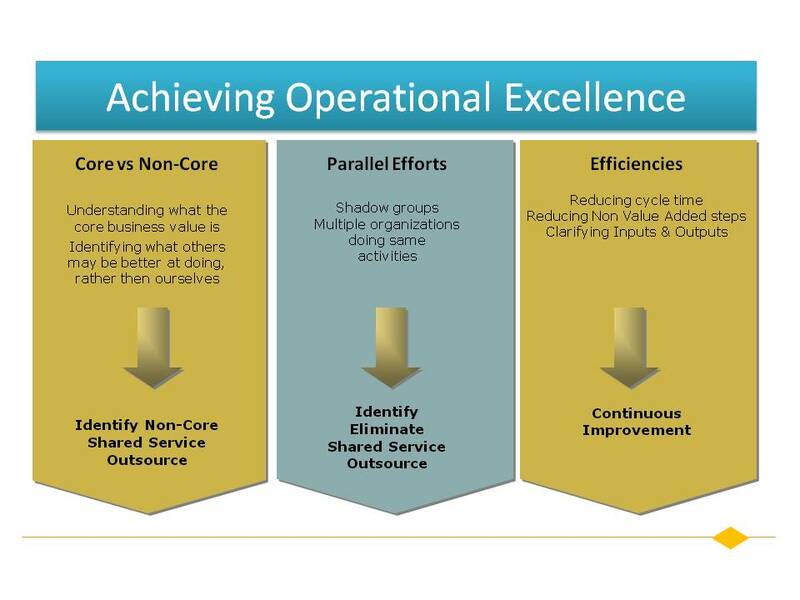 We bring a wealth of knowledge to the table to assess the appropriateness of outsourcing as a way to trim costs and improve productivity and service. The value we add is in assessing which processes can be most successfully outsourced (or not), identifying good-fit vendor options, and ensuring that the entire client-vendor relationship is managed well and is a sustainable solution to your business problem. 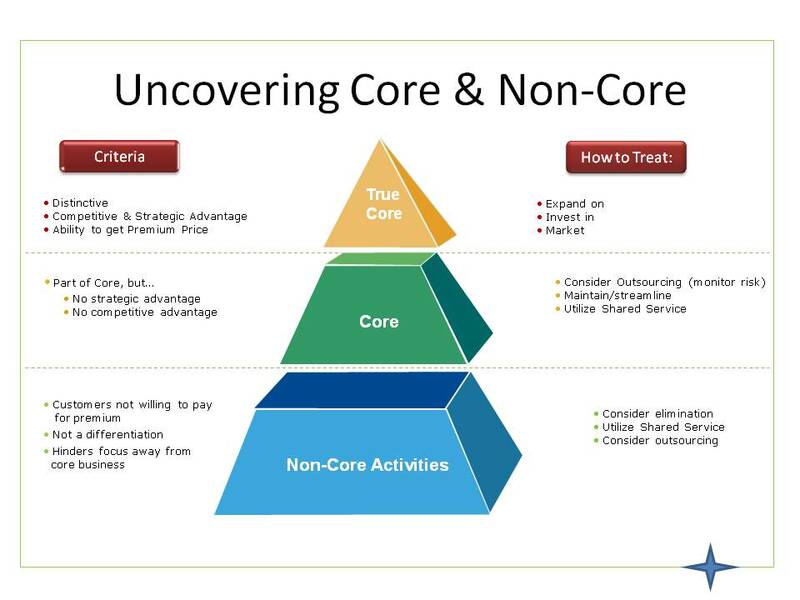 We look for outsourcing relationships for your organization that will be transformational rather than stop-gap. We also provide a clear understanding of the benefits, costs, risks and timing of outsourcing to enable your organization to make an informed business decision. Deciding to outsource one or more of your company’s processes is normally a straightforward affair. Sometimes, actually letting go is not. With decades of experience connecting businesses with service providers, TBI acts as a valuable go-between to calm the waters of implementation. There are three times when TBI can assist your company in managing its outsourcing relationships—before, during and after they are inaugurated. First, we can help you identify whether your company should even consider outsourcing. (During this phase, we also can help you evaluate the effectiveness of existing relationships.) Next, we have teams who can aid you in selecting an appropriate vendor and implementing plans for working with a service provider or providers. Finally, we can offer guidance when it’s time to renegotiate a vendor contract. As a TBI client, you can rest assured that our focus will be on helping you manage productive, long-term outsourcing relationships as well as on the implementation of procurement best practices for contracting with selected goods and services providers.